These felines work (sleep), catch mice, welcome tourists, and probably know more about the exhibits than you. 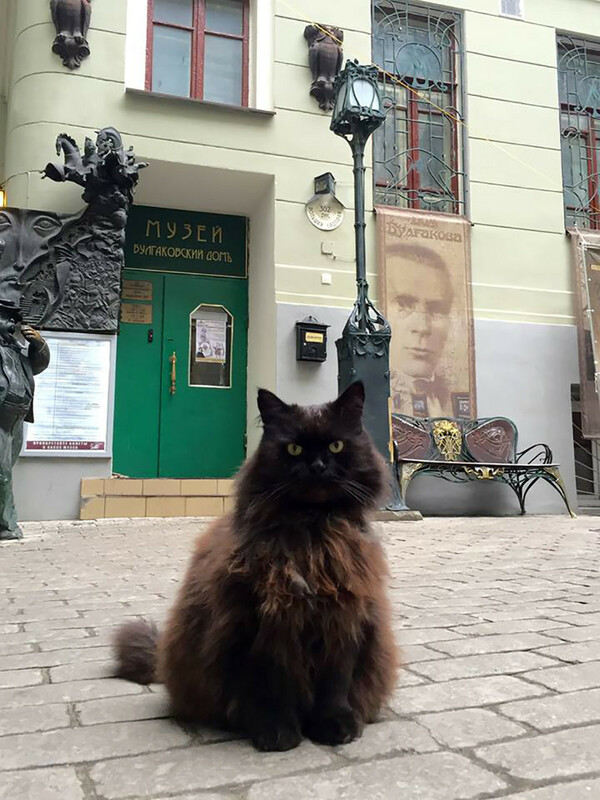 If you’ve read Mikhail Bulgakov's novel Master and Margarita you’ll know this enormous evil cat. 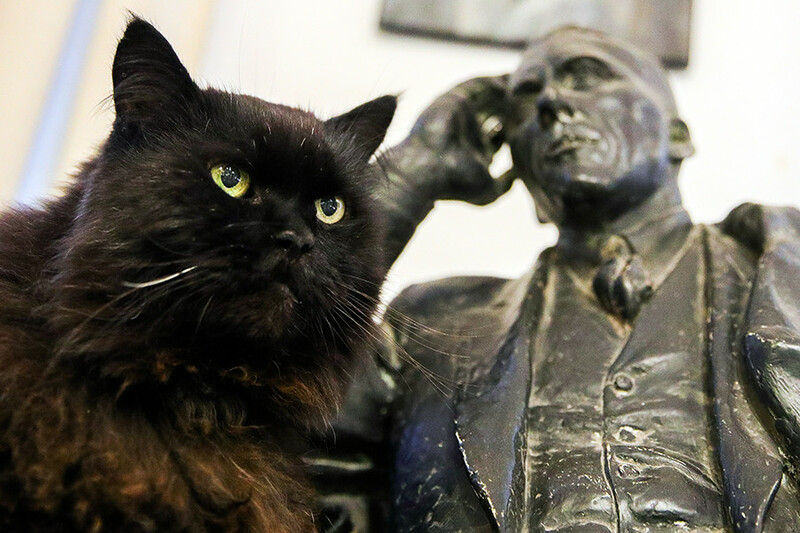 Behemoth is a member of Woland’s entourage – today a very similar black cat lives in the Bulgakov Museum in Moscow. Just look at it – you’ll recognize Behemoth instantly! Behemoth works on the museum’s staff. 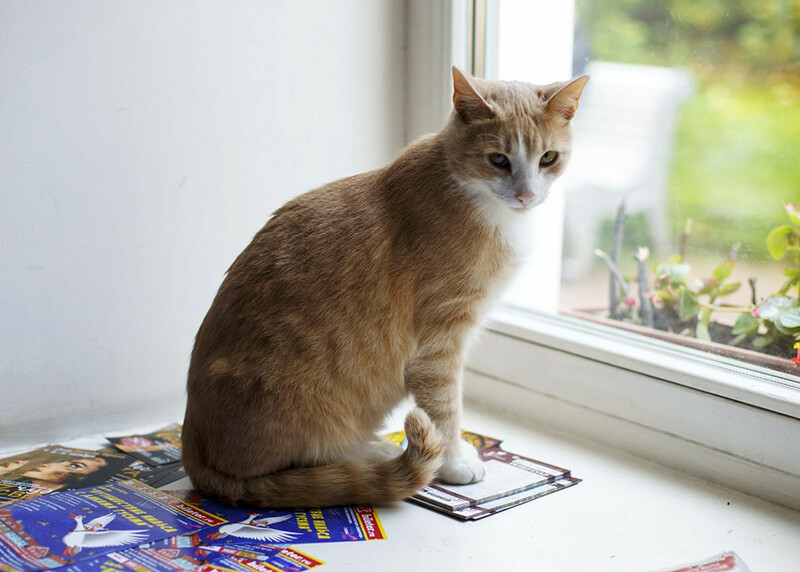 He first appeared here in 2005: A young couple brought him after discovering their baby was allergic to cats. The cat now feels like a host in the museum, often inspecting the mailbox and taking part in the tours. He enjoys all the media attention and poses for photos. It’s no surprise that he has a personal groomer. 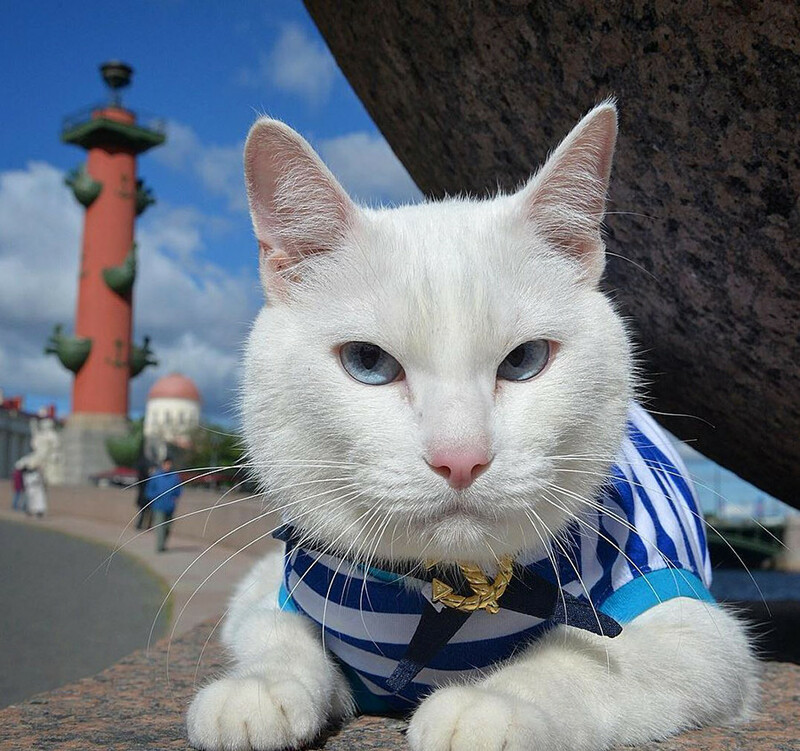 The Hermitage cat nicknamed Achilles is one of the most popular celebrity felines in Russia. This white cat tried to guess the results of the 2018 FIFA World Cup and some of his predictions even came true. Actually, cats have been protecting the Hermitage from rats for 270 years, since the times of Empress Elizaveta Petrovna. Now more than 60 live here supported by a bunch of volunteers and veterinarians. 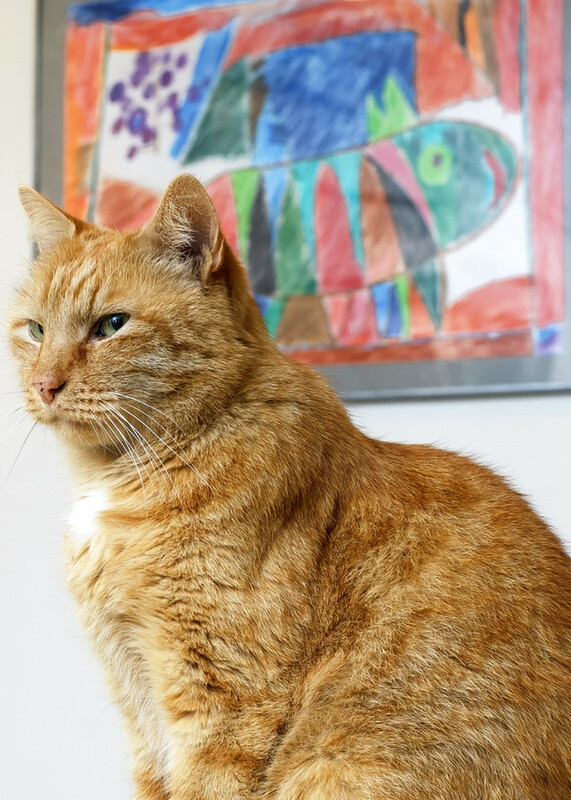 Senior cats live in the Republic of Cats cafe near the museum. Vasilisa starts her working hours by greeting the museum workers. During the day she inspects the rooms and takes part in almost every meeting. Like a real museum expert, she likes to spend time in the science library. This furry trio usually slumbers on the first floor or walks in Sheremetyevsky Garden, but sometimes they pay an honorary visit to a poetry evening or an exhibition opening. All three cats visited Anna Akhmatova’s Museum occasionally before deciding to stay permanently. They like to spend time together, are they plotting something? These two felines appeared in the museum several years ago as kittens. 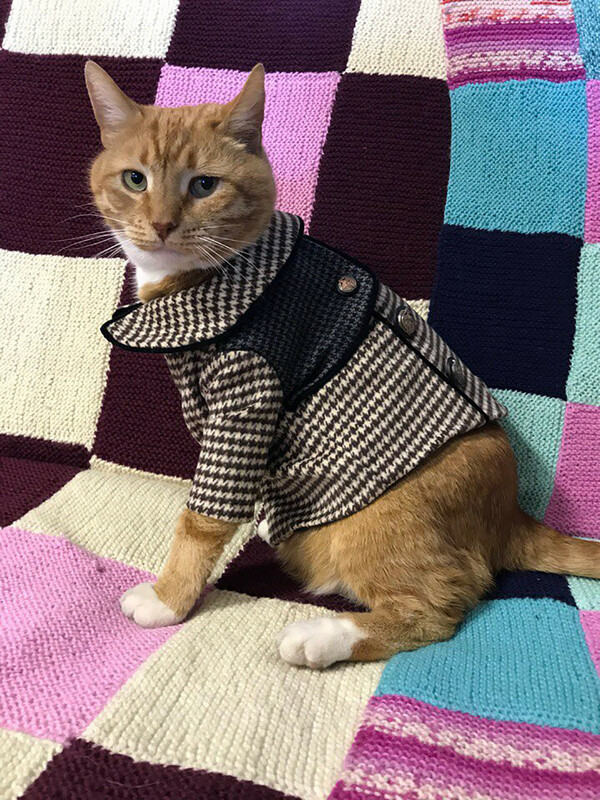 When Zaya came here she was very ill, but she’s become a big important cat who lives a luxurious cat life in the museum director’s office. And Katya will only like you if you’re a fan of Sergey Yesenin’s poetry (which you probably are if you’re coming to his museum). Samuel has been living here for seven years. His favorite spot is on top of the cupboard. He guards the staircase, plays piano, and “works” (we mean walks) on a typewriter. Normally museum workers don’t like it when he does this but they allow it only if Sam catches a mouse. 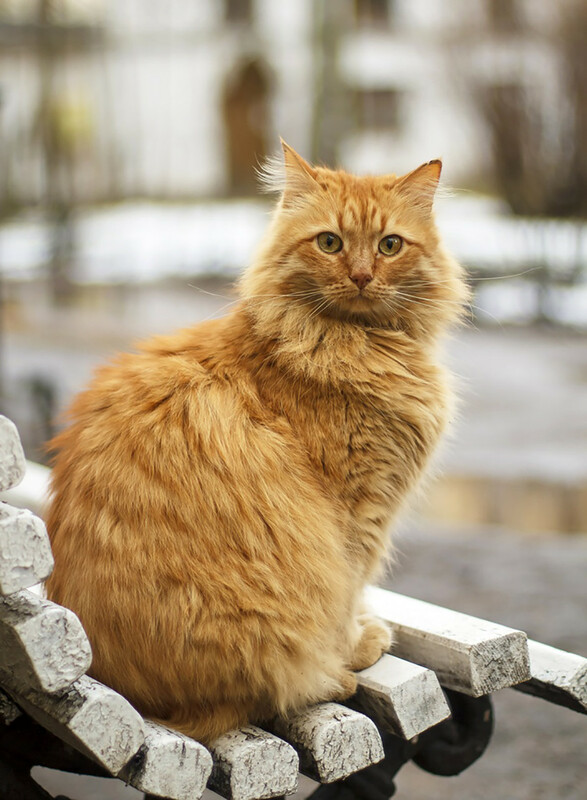 This cat guards the area of the estate where famous Russian poet Alexander Pushkin used to live and work. For the last five years Pushok has constantly been around people so he becomes extremely offended if they don’t invite him to the events. Once he was not invited to the opening of an exhibition so he looked forlornly at the party through a glass door. 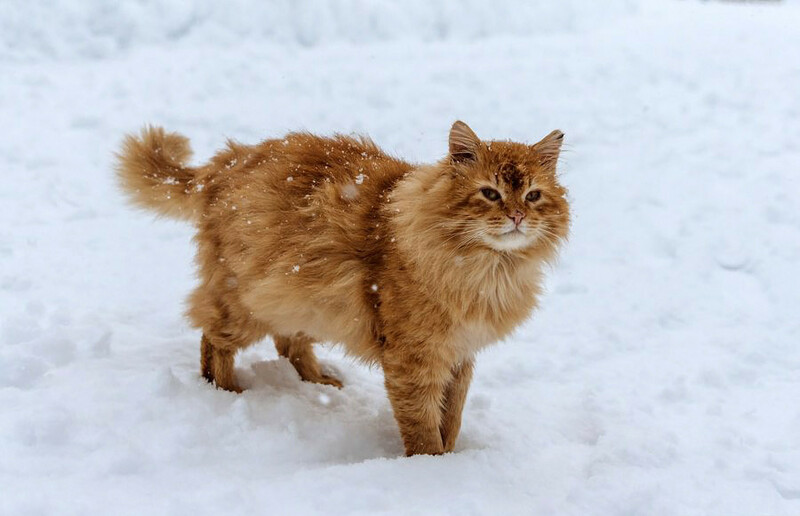 When he was finally let in, he turned his back and proudly walked away – a cat at its best. 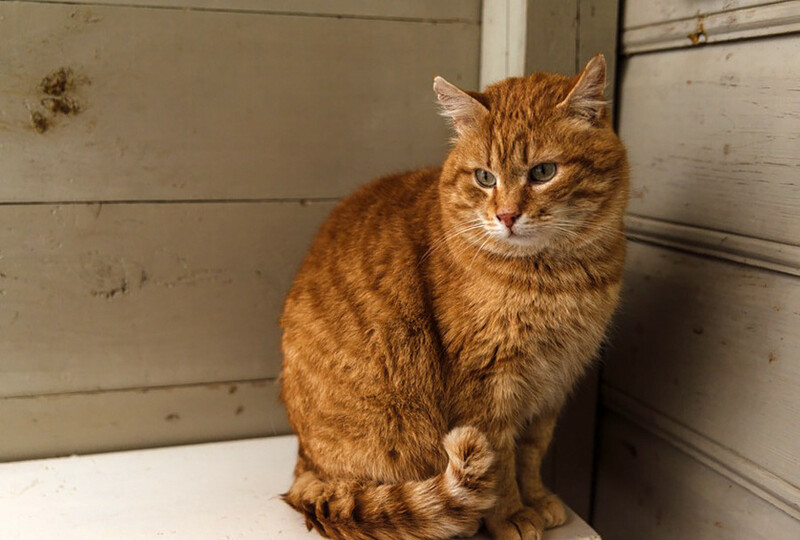 A couple of years later, another red cat – Ryzhik – appeared in Mikhailovsky and took up general security duties. 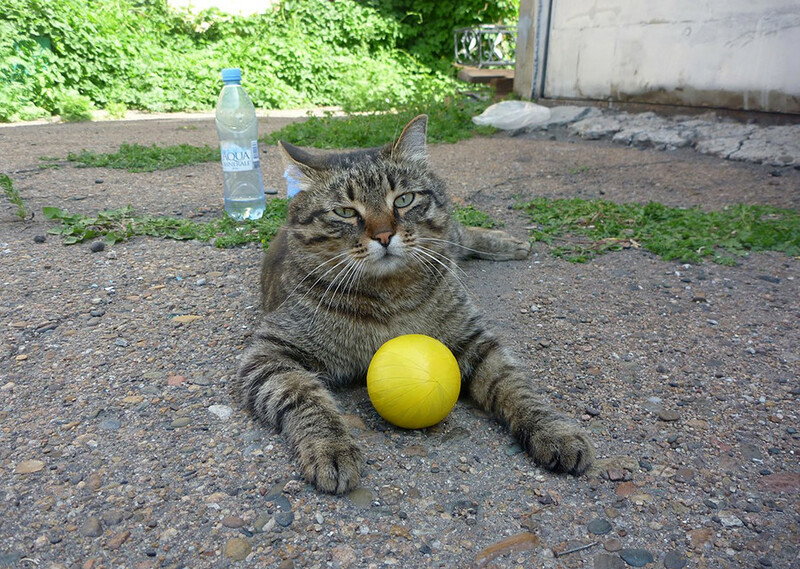 That’s how it goes now: Pushok greets the guests, while Ryzhik catches mice. Filimon is the first and the only worker in Vyborg Castle with a tail. He even has a document proving it. 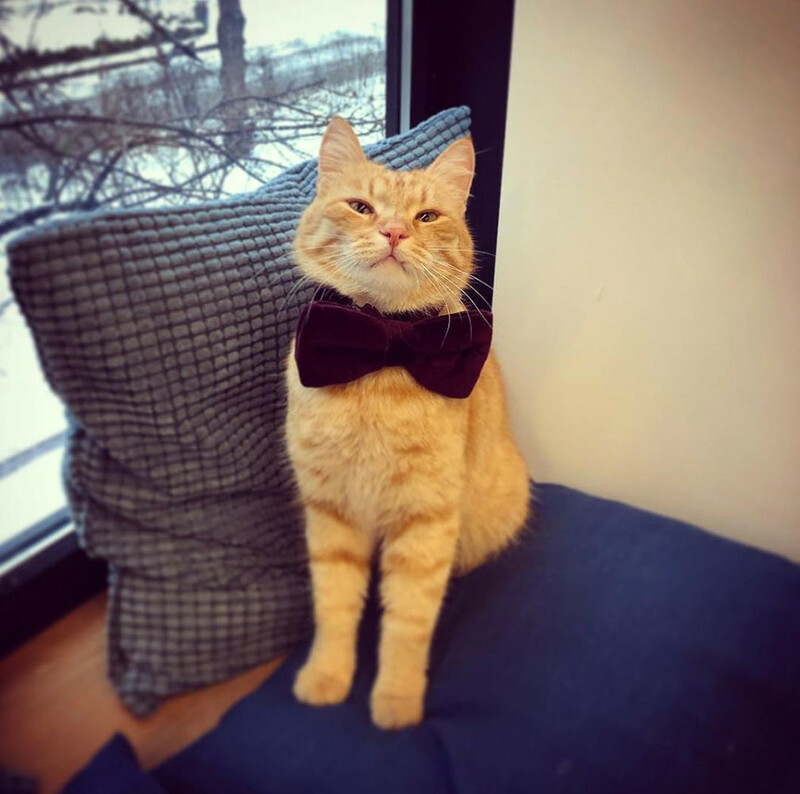 His main responsibility is to catch mice and pose for tourist photos. He does both brilliantly. 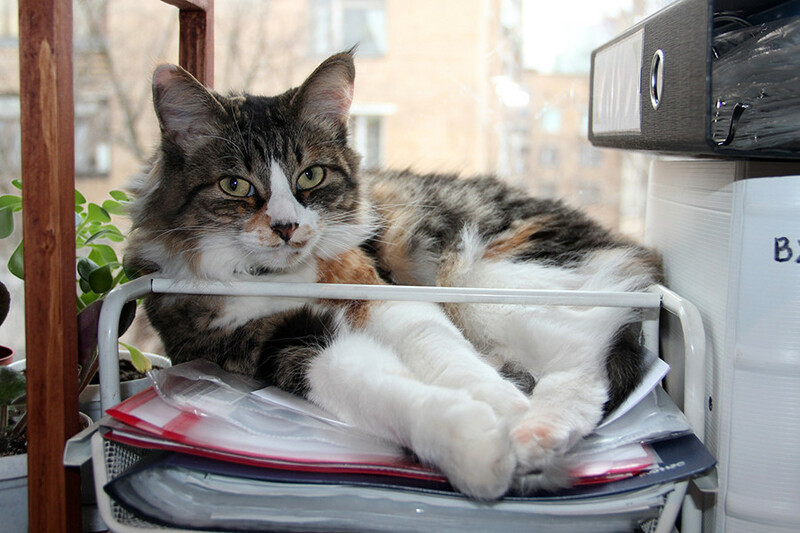 This aptly named cat always attends meetings and hates it when people are late. He is not allowed to put his paws on the exhibits so he can often be spotted chilling out on the sofas in the museum’s cafe. 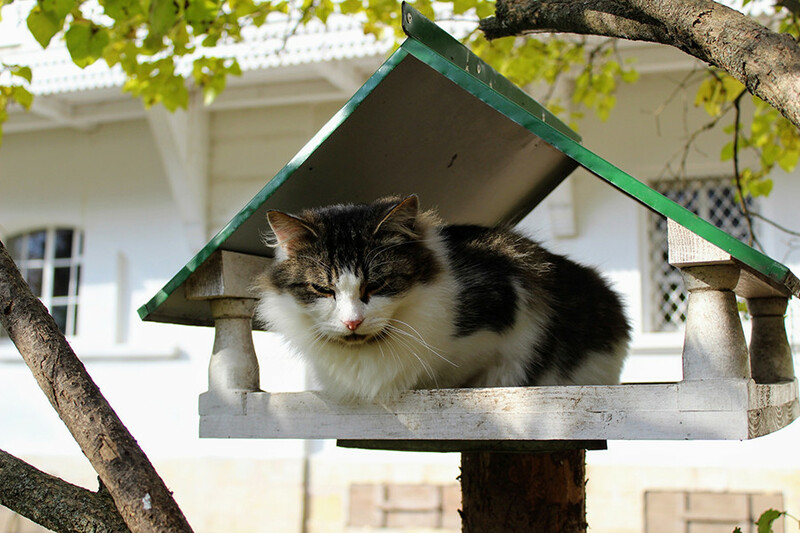 The Leo Tolstoy estate welcomed cats before the formation of the modern Russian state – they appeared here during the Soviet Union. They were brought to the museum by residents of neighboring villages, and now there are three "clans" living in the spacious estate: Black, white and striped.